Date posted: October 29, 2015 by: JasonDarkX2 Category: Gaming Tech 4 comments. News come from Nintendo is like opening a Chest in Zelda: Ocarina Of Time with that sound effect comes to mind “dun..dun..dun…” ha-ha this time around Nintendo is debuting their first entry into the mobile market during an investor briefing in Tokyo on Thursday, with the announcement of new video game app developed in partnership with DeNA Co., a mobile-game operator. The app now known officially as “Miitomo”( means friend in Japanese) will be released on March 2016 for smartphones, no word on whether there’s will be exclusives regardless platforms. But it’s safe bets it will be on IOS and Android. Will feature a free to play model and Nintendo’s Miis avatars .think of it as an new gamer, social network similar to the likeness of Tomodachi Life back in 2013 for the Ninitendo 3ds. But now on smartphones. 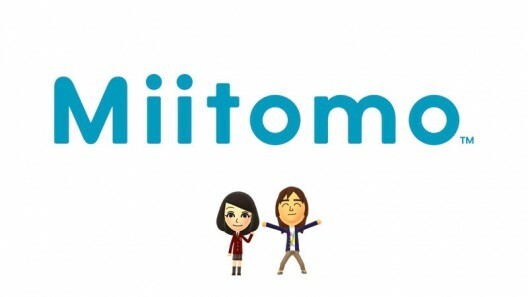 As disappointing as it may sound for gaming fans, Miimoto down to its simplest level is simply a companion/ communication app and for Nintendo’s new service “My Nintendo” with in-game add-on purchases. 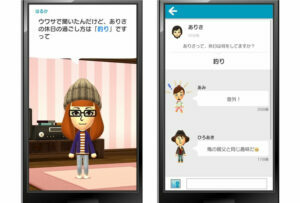 Miitomo, being one of the first out five Smartphone games Ninitendo that has announced that will be released by March 2017. Surely taking a bumpy start with its first entry to mobile markets, Nintendo who is currently dragging behind in the console market, some may wonder. But for the first time in five years, Nintendo reported an operating profit for the first half of its fiscal year, as hit games helped sales of its game machines. But the momentum is slowly dying down once again, with its recent hit Super Mario Maker for the WiiU with sales numbers reaching over 1 million played nearly 75 million times since its release back in September. But do you think they can pull a win in the already so over crowded Mobile market? Possibility yes in my opinions if they used their roster iconic characters such as Super Mario, Star Fox, Zelda, or Pokemon for their next 4 unannounced mobile games. Mr. Kimishima the current president of Nintendo said “the company would maintain one initiative begun by his predecessor as president”, Satoru Iwata, who died in July. Nintendo plans to host a tradition Nintendo Direct, an online presentation of their new upcoming products by the end of this year. 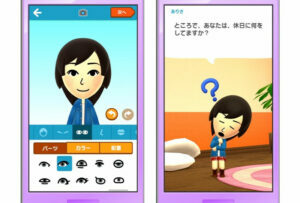 ha-ha Nintendo decided to fall behind in mobile too, face palm.